I really wanted to like this book, but the useful information provided for health and eating could be summed up in less than one CD. 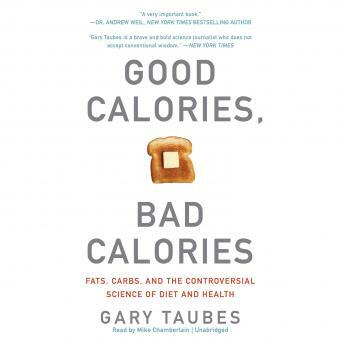 This book is mostly about proving that trends in health have been mostly based upon either cherry picked data or non-scientific information. While this case is well proven in the book, I kept wondering when information that I could use for my own personal health would be presented. In the end there were only a few pieces of information that i took away. First, if your cholesterol is between 160 and 240 you're fine. You don't need to take drugs. Second, carbohydrates are the cause of becoming overweight and obesity. The solution is a high protein/fat, low carb diet. They should have added high healthy protein and fats. And finally, high fructose corn syrup causes high triglycerides. If you got anything else out of this book, I'm open to hearing it. I didn't.